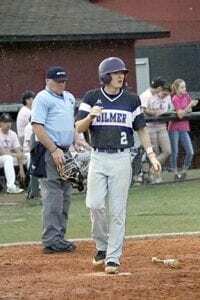 The Gilmer Bobcats baseball team traveled almost an hour up the road on Tuesday to face the Raiders of Southeast Whitfield. In game 1 of a 3 game series, the Cats sitting at 6-17 overall and 4-9 in region play were looking to get a much needed win. On this beautiful Spring day for baseball it wasn’t meant to be. 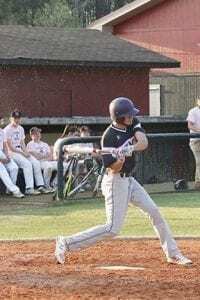 The Bobcats came out with hot bats scoring 4 runs in the top of the second on 4 hits, a walk, two sacrifices and a fielder’s choice with the first hit of the game for the Bobcats being solo home run by the number four batter McKinley Chadwick to lead off the inning. Brooks Rosser, Eric Turner and Avery Bertolini finished out the base hits for the Cats. The Raiders added three of their own in the bottom of the 2nd to tie the game at 4 a piece heading in to the top of the 3rd inning. 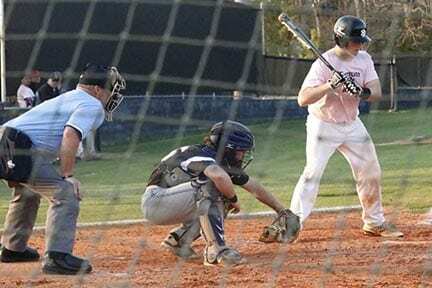 The scoreboard showed zeros for the next three innings for the Cats while the Raiders did not let up offensively, scoring seven runs in the bottom of the fifth. Carrying a 11-4 lead in to the sixth inning of play, the Bobcats added one run to end the scoring for Gilmer. In the Bottom of the sixth, the Raiders plated 4 to bring the score to 15-5 putting the GHSA mercy rule in to play. Final score for the game, Southeast Whitfield Raiders 15 Gilmer Bobcats 5. The Gilmer Bobcats will host the Raiders of Southeast Whitfield in doubleheader action on Wednesday starting at 5:00 pm at Bobcat Field.